Nada Retail $22,025, Our Price $20,500, Savings $1,525! 2011 Jeep Wrangler Unlimited Sahara 4WD. 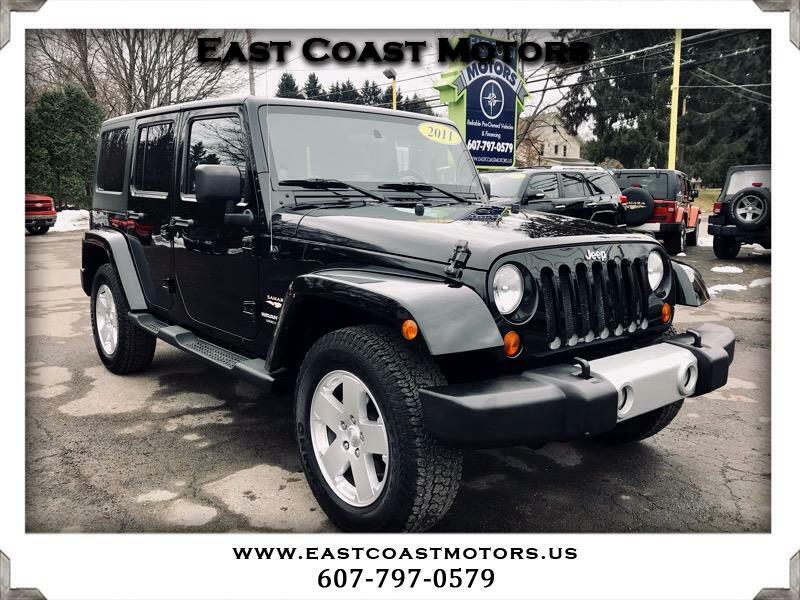 This Jeep Wrangler has a 3 piece black hard top, running boards, tow package, power windows, power locks, keyless entry, cd player, and a manual transmission.